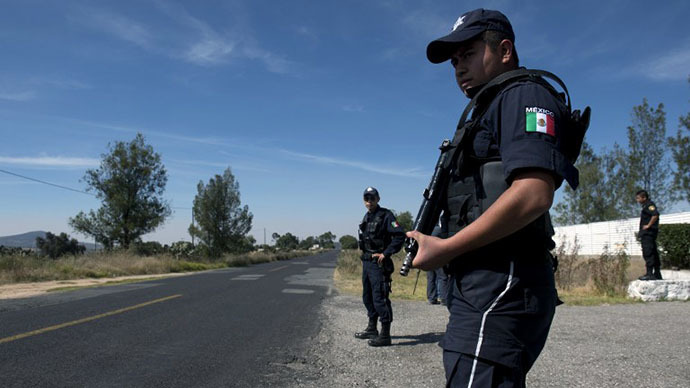 Mexican police located a stolen truck which contained dangerous radioactive material the UN warned could be used to construct a “dirty bomb.” The safety container holding that cargo was found empty, with the material abandoned nearby. The IAEA believes that there is no risk to public health in Mexico after a stolen radioactive shipment from a truck was recovered in a field. 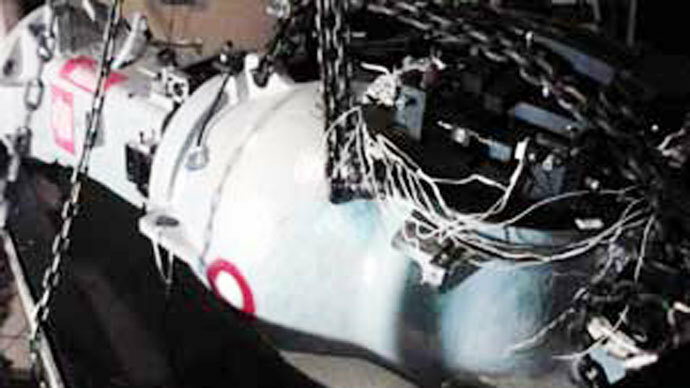 "Based on the information available, the Mexican authorities and the IAEA believe the general public is safe and will remain safe," the International Atomic Energy Agency said in a statement after the missing cargo of cobalt-60 enough to make a dirty bomb was found about half a mile from the container in central Mexico. The UN watchdog said it been notified by Mexico's CNSNS nuclear safety authority that the protective shielding had “no indication that it has been damaged or broken up and no sign of contamination to the area." It is "absolutely certain that whoever removed this material by hand is either already dead or about to die," Juan Eibenschutz, CNSNS director, told Milenio television. "It would probably be fatal to be close to this amount of unshielded radioactive material for a period in the range of a few minutes to an hour," he said. The US which borders Mexico was happy to see the situation resolved. “What's most important is that the vehicle and equipment were recovered and the situation was resolved,” White House press secretary Jay Carney said. 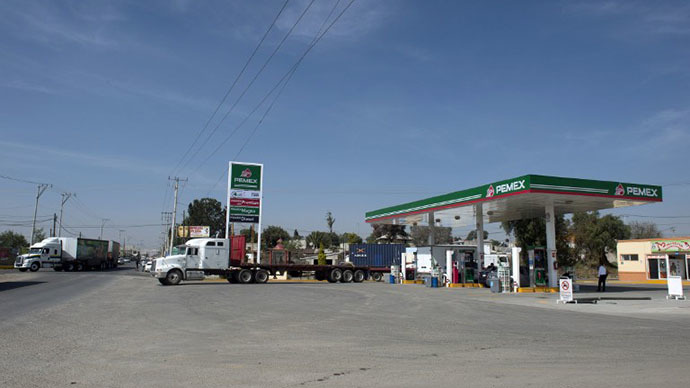 It is believed that the truck drivers were sleeping at a gas station when gunmen assaulted them and stole their truck. On Wednesday, The vehicle was found close to where it was stolen outside of Mexico City as it was transporting cobalt-60 from a hospital in Tijuana to a radioactive waste storage center. Mexico’s nuclear safety director Juan Eibenschutz said radioactivity had been detected about a half mile (1 kilometer) from where the truck and container were located. Mexico’s national nuclear safety commission CNSNS has said that the thieves, thought to be unaware of the contents which have now been located, removed it from its protective container and were exposed to dangerous levels of radiation. "This is a radioactive source that is very strong," Eibenschutz told the AP, saying that exposure could cause death almost immediately if in close proximity. "Fortunately there are no people where the source of radioactivity is," Eibenschutz added. So far there were no indications that the theft of the cobalt was an intentional act of terrorism, said Eibenshutz. The stolen radioactive material was used in radiation therapy equipment that is now obsolete and is being phased out of Mexico’s public health system. An official familiar with similar cases told the AP that unintentional theft of radioactive materials are not altogether uncommon. In the 1970s one thief died and another was injured when a container also holding radioactive material was opened. That container was then sold to a foundry where it contaminated steel reinforcement bars. All foundries in Mexico now have equipment that can detect radioactivity.